What Happens to Baby and Mom Immediately After Labor and Delivery? If you're pregnant for the first time, I have a feeling you've imagined the birth. Water breaking, labor, pain, pushing, then having a baby. The doctor will place the baby in your arms, you'll forget the past nine months and all will be well in the world. 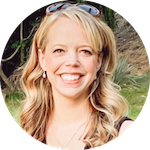 Whether or not your birth goes exactly according to your plans, even if you don't have a delivery dream or a plan for the birth, there are a few things that will happen immediately following a hospital birth. Once baby is delivered into the world, the hospital staff will check your newborn's overall condition immediately by assessing her Apgar score. If baby is breathing without difficulty, she will likely be returned to your arms and stay there for a few minutes. If baby needs help breathing, she'll be put on a special table in the delivery room where there's an oxygen mask and a heater to keep the baby warm. Usually, baby's breathing normalizes and she's handed back to mom. In a few cases, she's be brought to the NICU for a while for further observation and assistance. Baby will be weighed and measured almost immediately after birth. She'll also be thoroughly examined within a few hours after delivery. In addition to observing everything listed above, mom has a few things to do! The placenta is can be delivered naturally, but it's usually delivered with the help of a drug called synotermetrine. This drug is administered via injection as the baby's body emerges from the birth canal. Mom's body temperature will drop a few degrees. This may cause extreme shivers as the internal thermostat is reset. The hospital staff should assist you by providing a warm blanket and socks or slippers. The doctor will examine your body and determine whether or not you need stitches following the birth. An episiotomy must be stitched, but small or minor tears may heal better if they're left alone. If you plan on breastfeeding, putting your baby to the breast within an hour of delivery increases your chances of breastfeeding success. 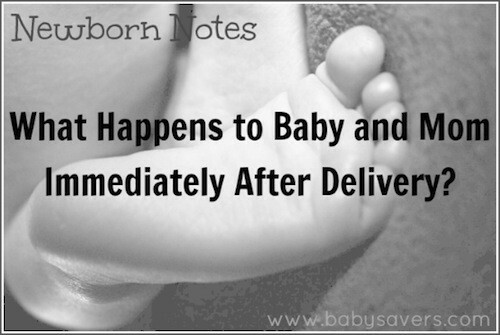 This doesn't mean that baby will immediately latch–she may not even feel like feeding. Ask your nurse or midwife for assistance, and don't get discouraged if breastfeeding doesn't feel natural or if the first session doesn't feel as you expected. Finally, it's important to realize that human babies have a bonding instinct. Your baby can recognize your voice at birth and she can focus on your face at up to 10 inches away. If you don't feel that bond right away, don't worry! The most common reason for not feeling a bond between mother and child immediately after birth is simply exhaustion. Rest up, let dad hold the baby and prepare to love your baby after you have a bit of quiet time. 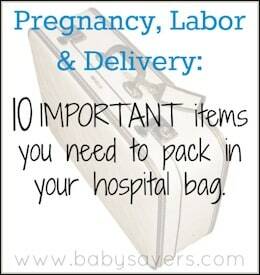 As you're preparing for childbirth, be sure to check out the most important things to pack for labor and delivery!